This a very clean low mile truck with 28748 on the meter. 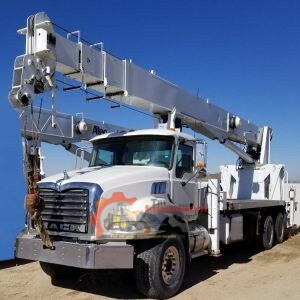 It is equipped with an Altec 26 ton crane that has a 103’ reach. Mack Engine, Manual Transmission. This truck runs very well and is ready for work! This a very clean low mile truck with 31192 on the meter. Manual Transmission. 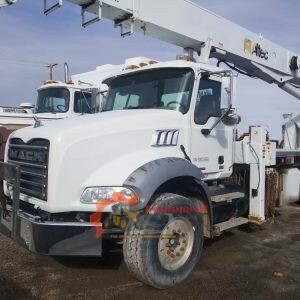 Equipped with an Altec 26 ton crane that has a 103’ reach. This truck runs well and is ready for work! This Is a cab and chassis truck only. Meter reads 201878. Does not come with box shown in pictures. It is a 4×4 and is low geared. It also comes with a PTO. This truck runs and operates as it should! 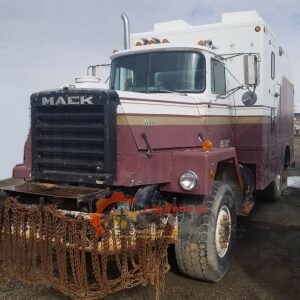 1991 Mack RM6904X Cab and Chassis Truck only – This truck does not come with the box that is shown in the pictures. Meter reads 62445. 10 Speed, Manual Transmission. Equipped with a PTO and is geared low. This truck runs and operates as it should. 350 Mack motor that runs strong, 287,000 miles on odometer, 13 speed transmission, tires average 70%, electric tarp. Model of the truck is RS688LS. GVWR is 54,000 lbs.